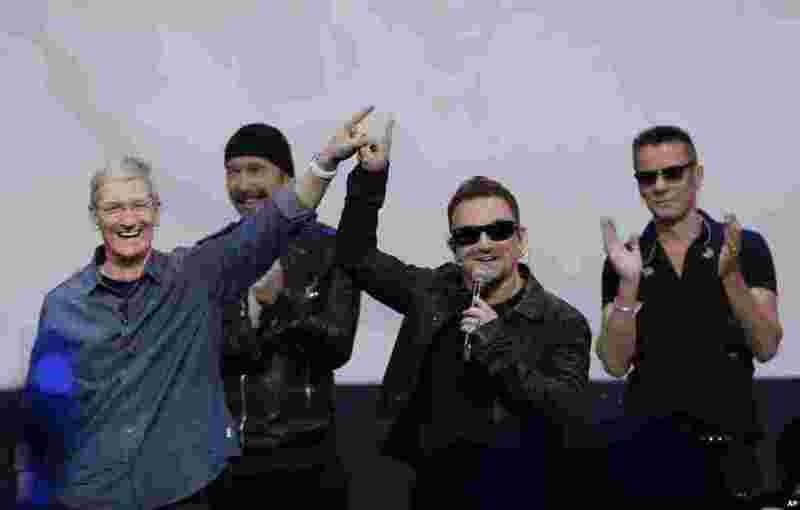 1 Apple CEO Tim Cook (left) smiles next to U2 members, The Edge, Bono, and Larry Mullen Jr. during an announcement of new products, in Cupertino, California, Sept. 9, 2014. 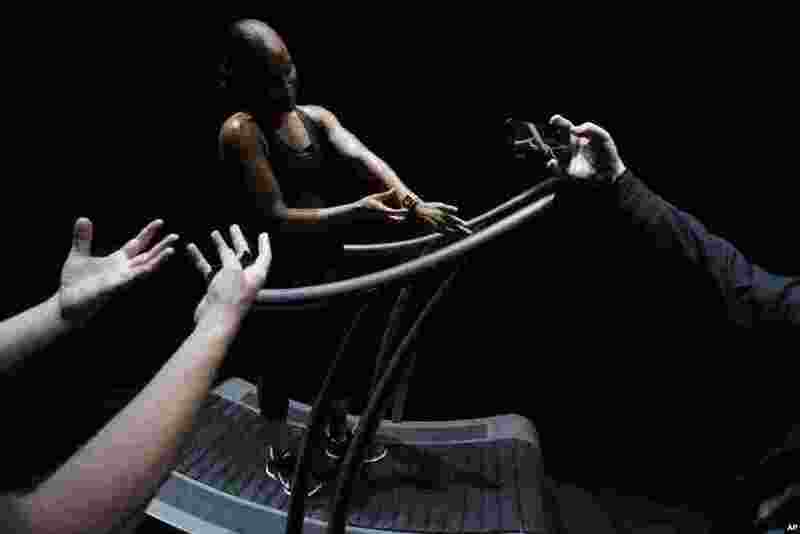 2 A model shows the use of an Apple Watch for exercise use during an announcement of new products, in Cupertino, California, Sept. 9, 2014. 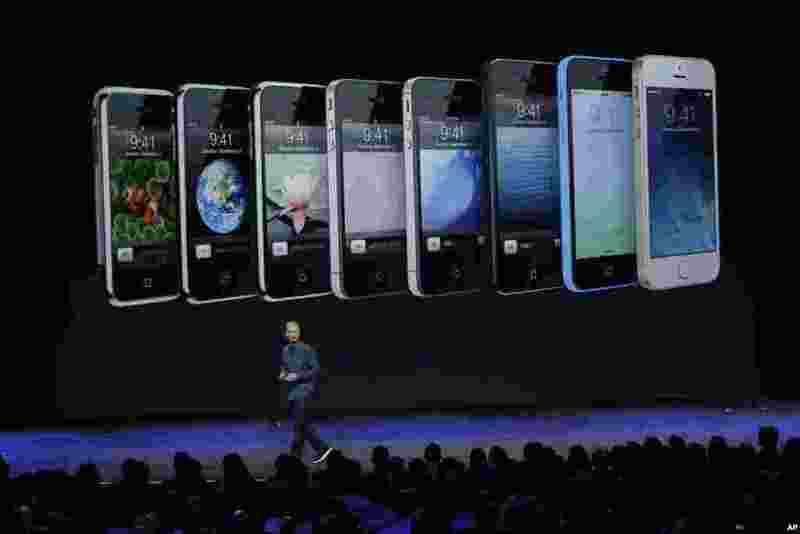 3 Apple CEO Tim Cook announces new products in Cupertino, California, Sept. 9, 2014. 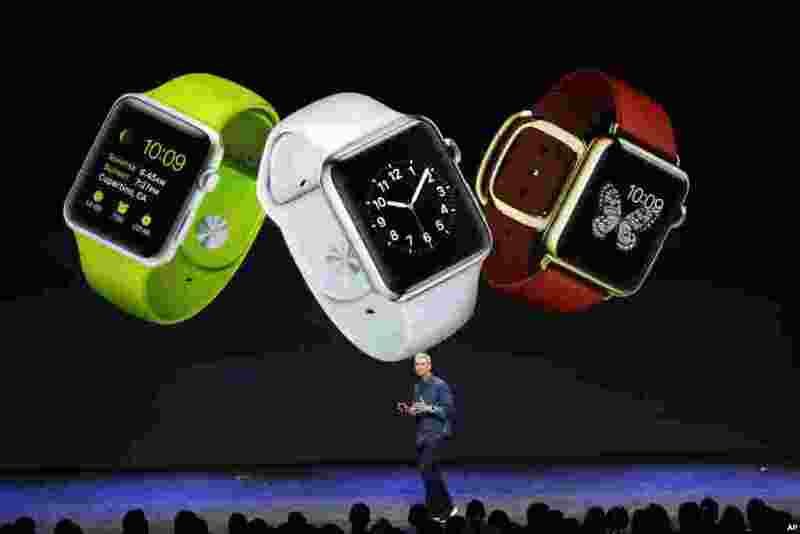 4 Apple's new wearable device marks the company's first major entry in a new product category since the iPad's debut in 2010, in Cupertino, California, Sept. 9, 2014. 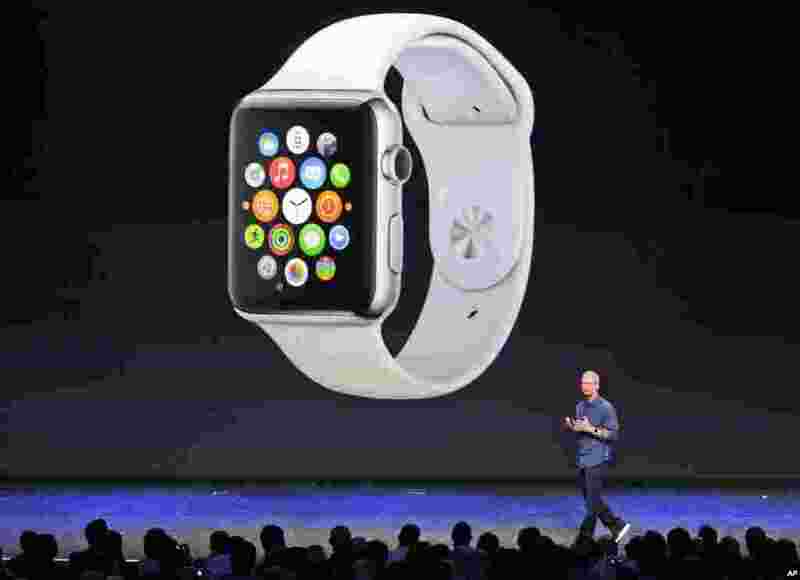 5 Apple CEO Tim Cook introduces the Apple Watch in Cupertino, California, Sept. 9, 2014. 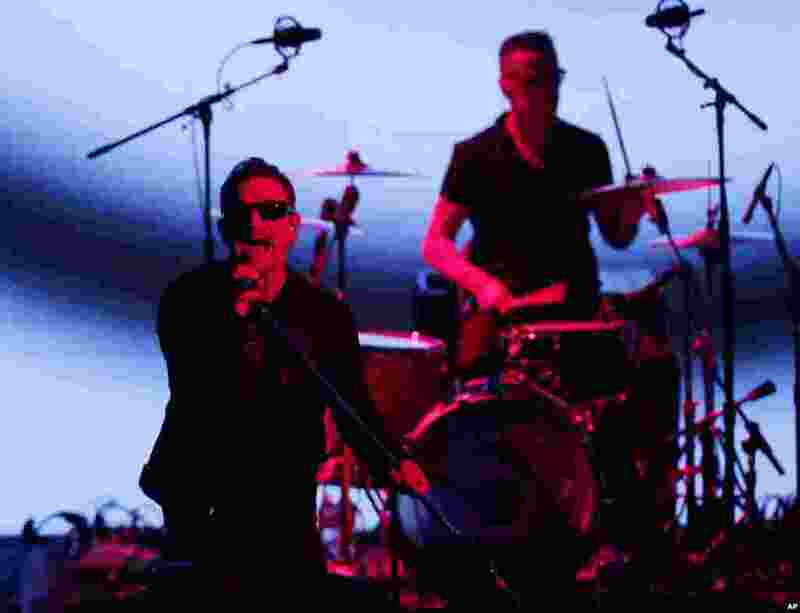 6 U2 members Bono (left) and Larry Mullen perform during an announcement of new products by Apple in Cupertino, California, Sept. 9, 2014.